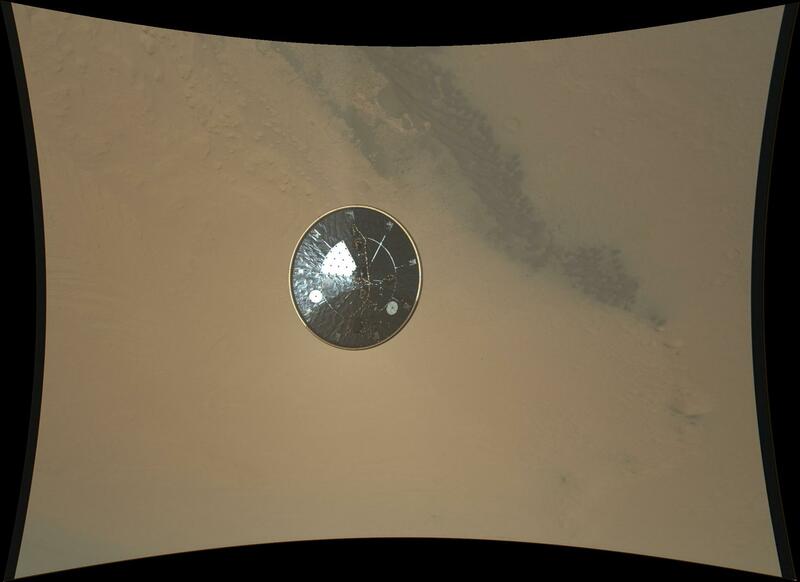 This color full-resolution image showing the heat shield of NASA's Curiosity rover was obtained during descent to the surface of Mars on Aug. 5 PDT (Aug. 6 EDT). 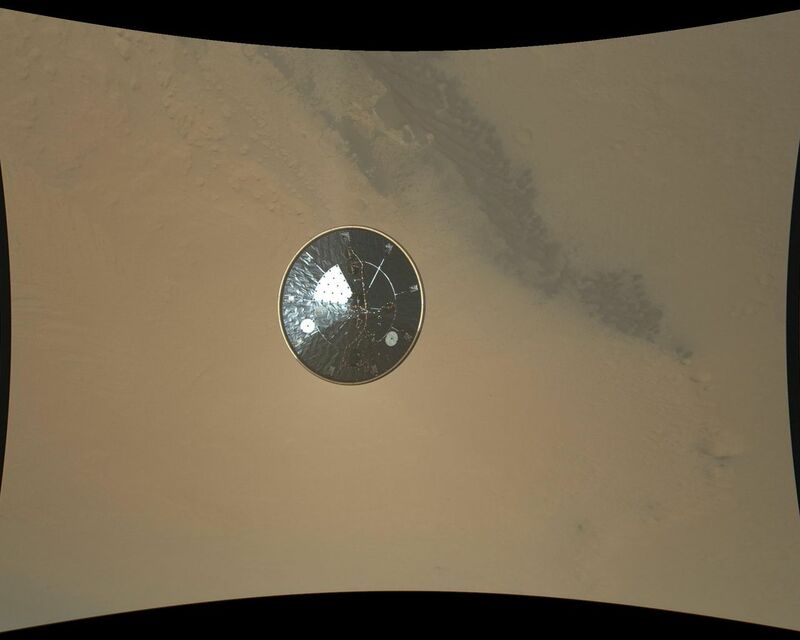 The image was obtained by the Mars Descent Imager instrument known as MARDI and shows the 15-foot (4.5-meter) diameter heat shield when it was about 50 feet (16 meters) from the spacecraft. This image shows the inside surface of the heat shield, with its protective multi-layered insulation. The bright patches are calibration targets for MARDI. Also seen in this image is the Mars Science Laboratory Entry, Descent, and Landing Instrument (MEDLI) hardware attached to the inside surface. At this range, the image has a spatial scale of 0.4 inches (1 cm) per pixel. 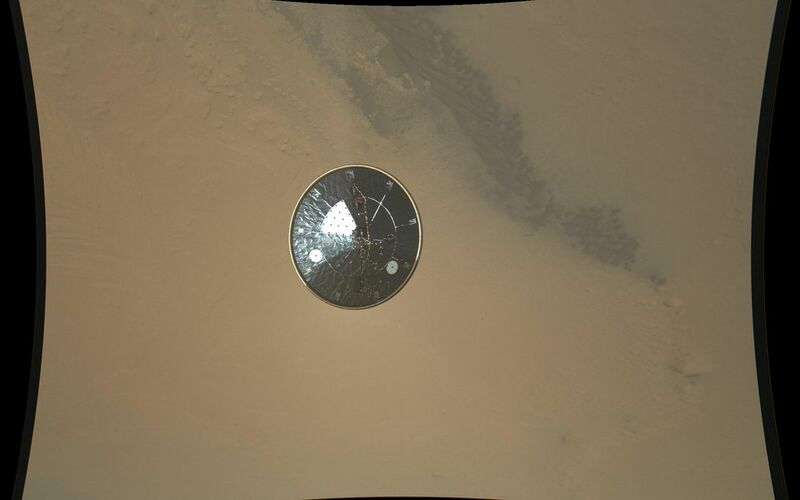 It is the 36th MARDI image, obtained about three seconds after heat shield separation and about two and one-half minutes before touchdown. The original image from MARDI has been geometrically corrected to look flat. The thumbnail version of this image is available at PIA15988. 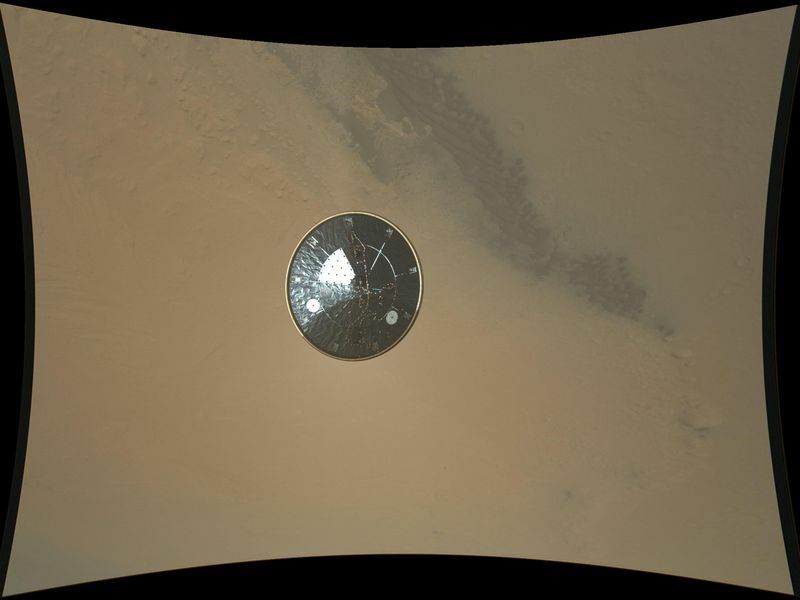 Curiosity landed inside of a crater known as Gale Crater.